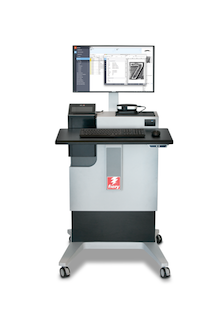 The innovative ink curing technology of the EFI VUTEk GS3250LX Pro LED hybrid printer extends the range of supported substrates while lowering operating costs. Eight-color plus unique multi-layer white print capability and true grayscale technology will allow you to take on new applications. With its production-level speeds and Continuous Print functionality, you'll produce jobs faster and more efficiently at reduced cost, while handling more applications. Virtually no VOCs, fewer consumables, less waste, lower energy consumption, and the ability to print on recycled and other heat-sensitive materials without warping or head strikes, makes it the greener printing solution your customers want.